Some sections of the above text with citations are directly extracted from the referenced literature without quotations. 1 Sen CK. 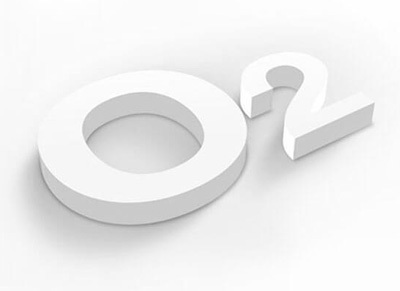 Wound Healing Essentials: Let There Be Oxygen. Wound Rep Reg 2009; 17: 1–18. 2 Ichioka S, Ando T, Shibata M, Sekiya N, Nakatsuka T. Oxygen consumption of keloids and hypertrophic scars. Ann Plast Surg 2008; 60: 194–197. 3 Gupta A, Raghubir R. Energy metabolism in the granulation tissue of diabetic rats during cutaneous wound healing. Mol Cell Biochem 2005; 270: 71–77. 4 Hohn DC, Ponce B, Burton RW, Hunt TK. Antimicrobial systems of the surgical wound. I. A comparison of oxidative metabolism and microbicidal capacity of phagocytes from wounds and from peripheral blood. Am J Surg 1977; 133: 597–600. 5 Matsuda T, Clark N, Hariyani GD, Bryant RS, Hanumadass ML, Kagan RJ. The effect of burn wound size on resting energy expenditure. J Trauma 1987; 27: 115–118. 6 Im MJ, Hoopes JE. Energy metabolism in healing skin wounds. J Surg Res 1970; 10: 459–464. 7 Sen CK. The general case for redox control of wound repair. Wound Repair Regen 2003; 11: 431–438. 8 Roy S, Khanna S, Nallu K, Hunt TK, Sen CK. Dermal wound healing is subject to redox control. Mol Ther 2006; 13: 211–220. 9 Sen CK, Roy S. Redox signals in wound healing. Biochim Biophys Acta 2008; 1780: 1348–1361. 10 Tandara AA, Mustoe TA. 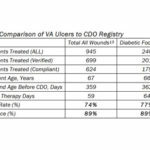 Oxygen in Wound Healing – More Than a Nutrient. World J Surg 2004; 28: 294–300. 11 LaVan FB, Hunt TK. Oxygen and wound healing. Clin Plast Surg 1990; 17: 463-472. 12 Hess CL, Howard MA, Attinger CE. A review of mechanical adjuncts in wound healing: hydrotherapy, ultrasound, negative pressure therapy, hyperbaric oxygen, and electrostimulation. Ann Plast Surg 2003; 51: 210-218. 13 Hunt TK. Basic principles of wound healing. J Trauma 1990; 30: S122-S128. 14 Milton SL, Prentice HM. Beyond anoxia: The physiology of metabolic downregulation and recovery in the anoxia tolerant turtle. Comparative Biochemistry and Physiology, Part A 2007; 147: 277–290. 15 Stys PK, Ransom BR, Waxman SG, Davis PK. Role of extracellular calcium in anoxic injury of mammalian central white matter. Proc Natl Acad Sci 1990; 87: 4212-4216. 16 Wang Y, Zeigler MM, Lam GK, Hunter MG, Eubank TD, Khramtsov VV, Tridandapani S, Sen CK, Marsh CB. The role of the NADPH oxidase complex, p38 MAPK, and Akt in regulating human monocyte/macrophage survival. Am J Respir Cell Mol Biol 2007; 36: 68–77. 17 Brown JR, Goldblatt D, Buddle J, Morton L, Thrasher AJ. Diminished production of anti-inflammatory mediators during neutrophil apoptosis and macrophage phagocytosis in chronic granulomatous disease (CGD). J Leukoc Biol 2003; 73: 591–599. 18 Babior BM. Oxygen-dependent microbial killing by phagocytes (first of two parts). N Engl J Med 1978; 298: 659–668. 19 Allen DB, Maguire JJ, Mahdavian M, Wicke C, Marcocci L, Scheuenstuhl H, Chang M, Le AX, Hopf HW, Hunt TK. Wound hypoxia and acidosis limit neutrophil bacterial killing mechanisms. Arch Surg 1997; 132: 991–996. 20 Rabkin JM, Hunt TK. Infection and oxygen. In Davis JC, Hunt TK, editors, Problem Wounds: The Role of Oxygen, New York, Elsevier, 1988: 1–16. 21 Cianci P. Advances in the treatment of the diabetic foot: Is there a role for adjunctive hyperbaric oxygen therapy? Wound Repair Regen 2004;12(1):2-10. 22 Wattel F, Mathieu D. Oxygen and wound healing. Bull Acad Natl Med 2005; 189: 853–864. 23 Knighton D, Halliday B, Hunt T. Oxygen as an antibiotic: the effect of inspired oxygen on infection. Arch Surg 1984; 119: 199–204. 24 Knighton D, Halliday B, Hunt T. Oxygen as an antibiotic. Arch Surg 1986; 121: 191–195. 25 Mussini E, Hutton JJ, Jr. Udenfriend S. Collagen proline hydroxylase in wound healing, granuloma formation, scurvy, and growth. Science 1967; 157: 927–929. 26 Berthod F, Germain L, Tremblay N, Auger FA. Extracellular matrix deposition by fibroblasts is necessary to promote capillary-like tube formation in vitro. J Cell Physiol 2006; 207: 491–498. 27 Hopf HW, Gibson JJ, Angeles AP, Constant JS, Feng JJ, Rollins MD, Zamirul Hussain M, Hunt TK. Hyperoxia and angiogenesis. Wound Repair Regen 2005; 13: 558–564. 28 Hunt TK, Aslam RS, Beckert S, Wagner S, Ghani QP, Hussain MZ, Roy S, Sen CK. Aerobically derived lactate stimulates revascularization and tissue repair via redox mechanisms. Antioxid Redox Signal 2007; 9: 1115–1124. 29 Knighton D, Silver I, Hunt T. Regulation of wound healing and angiogenesis—effect of oxygen gradients and inspired oxygen concentrations. Surgery 1981; 90: 262–270. 30 Sheikh AY, Rollins MD, Hopf HW, Hunt TK. Hyperoxia improves microvascular perfusion in a murine wound model. Wound Repair Regen 2005; 13: 303–308. 31 Hunt TK, Zederfeldt B, Goldstick TK. Oxygen and healing. Am J Surg 1969; 118: 521–525. 32 Jonsson K, Jensen J, Goodson W, Scheuenstuhl H, West J, Hopf H, Hunt T. Tissue oxygenation, anemia, and perfusion in relation to wound healing in surgical patients. Ann Surg 1991; 214: 605–613. 33 Gordillo GM, Sen CK. Revisiting the Essential Role of Oxygen in Wound Healing. Amer J Surg 2003; 186: 259–263. 34 Prockop D, Kivirikko K, Tuderman L, Guzman N. The biosynthesis of collagen and its disorders (part 1). N Engl J Med 1979; 301: 13–23. 35 Prockop D, Kivirikko K, Tuderman L, Guzman N. The biosynthesis of collagen and its disorder (part 2). N Engl J Med 1979; 301: 77–85. 36 Niinikoski J. Effect of oxygen supply on wound healing and formation of experimental granulation tissue. Acta Physiol Scand 1970; 78: 1–72. 37 Hunt T, Pai M. The effect of varying ambient oxygen tensions on wound metabolism and collagen synthesis. Surg Gynecol Obstet 1972; 135: 561–567. 38 Stephens F, Hunt T. Effect of changes in inspired oxygen and carbon dioxide tensions on wound tensile strength. Ann Surg 1971; 173: 515. 39 Hutton J, Tappel A, Undenfried S. Cofactor and substrate requirements of collagen proline hydroxylase. Arch Biochem Biophys 1967; 118: 231–240. 40 Myllyla R, Tuderman L, Kivirikko K. Mechanism of the prolyl hydroxlase reaction. 2. Kinetic analysis of the reaction sequence. Eur J Biochem 1977; 80: 349–357. 41 Asmis R, Qiao M, Zhao Q. Low-Flow Oxygenation of Full-Excisional Skin Wounds on Diabetic Mice Improves Wound Healing by Accelerating Wound Closure and Reepithelialization. Int Wound J 2010 ; 7: 349-357. 42 Hopf H, Hunt T, West J, et al. 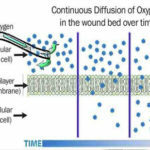 Wound tissue oxygen tension predicts the risk of wound infection in surgical patients. Arch Surg 1997; 132: 997–1004. 43 Hartmann M, Jonsson K, Zederfeldt B. Effect of tissue perfusion and oxygenation on accumulation of collagen in healing wounds. Randomized study in patients after major abdominal operations. Eur J Surg 1992; 158: 521–526. 44 Pandit AS, Faldman DS. Effect of oxygen treatment and dressing oxygen permeability on wound healing. Wound Repair Regen 1994; 2: 130-137. 45 Gallagher KA, Liu ZJ, Xiao M, Chen H, Goldstein LJ, Buerk DG, Nedeau A, Thom SR, Velazquez OC. Diabetic impairments in NO-mediated endothelial progenitor cell mobilization and homing are reversed by hyperoxia and SDF-1 alpha. J Clin Invest 2007; 117: 1249–1259. 46 Goldstein LJ, Gallagher KA, Bauer SM, Bauer RJ, Baireddy V, Liu ZJ, Buerk DG, Thom SR, Velazquez OC. Endothelial progenitor cell release into circulation is triggered by hyperoxia-induced increases in bone marrow nitric oxide. Stem Cells 2006; 24: 2309–2318. 47 Gallagher KA, Goldstein LJ, Thom SR, Velazquez OC. Hyperbaric oxygen and bone marrow-derived endothelial progenitor cells in diabetic wound healing. Vascular 2006; 14: 328–337. 48 Thom SR, Bhopale VM, Velazquez OC, Goldstein LJ, Thom LH, Buerk DG. Stem cell mobilization by hyperbaric oxygen. Am J Physiol Heart Circ Physiol 2006; 290: H1378–H1386. 49 Sundaresan M, Yu ZX, Ferrans VJ, et al. Regulation of reactive oxygen species generation in fibroblasts by Rac1. Biochem J 1996; 318: 379–382. 50 Sen CK, Khanna S, Babior BM, et al. Oxidant-induced vascular endothelial growth factor expression in human keratinocytes and cutaneous wound healing. J Biol Chem 2002; 277: 33284–33290. 51 Cho M, Hunt TK, Hussain MZ. Hydrogen peroxide stimulates macrophage vascular endothelial growth factor release. Am J Physiol Heart Circ Physiol 2001; 280: H2357–H2363. 52 Maniscalco WM, Watkins RH, Finkelstein JN, Campbell MH. Vascular endothelial growth factor mRNA increases in alveolar epithelial cells during recovery from oxygen injury. Am J Respir Cell Mol Biol 1995; 13: 377–386. 53 Deaton P, McKellar C, Culbreth R, et al. Hyperoxia stimulates interleukin-8 release from alveolar macrophages and U937 cells: attenuation by dexamethasone. Am J Physiol 1994; 267: L187–192. 54 Darrington R, Godden D, Park M, et al. The effect of hyperoxia on expression of cytokine mRNA in endothelial cells. Biochem Soc Trans 1997; 25: 2925. 55 Sheikh A, Gibson J, Rollins M, et al. Effect of hyperoxia on vascular endothelial growth factor levels in a wound model. Arch Surg 2000;153:1293–1297. 56 Shenberger JS, Zhang L, Powell RJ, Barchowsky A. Hyperoxia enhances VEGF release from A549 cells via posttranscriptional processes. Free Radic Biol Med 2007; 43: 844–852. 57 Sundaresan M, Yu ZX, Ferrans VJ, et al. Requirement for generation of H2O2 for platelet-derived growth factor signal transduction. Science 1995; 270: 296–9. 58 Roy S, Khanna S, Sen CK. Redox regulation of the VEGF signaling path and tissue vascularization: hydrogen peroxide, the common link between physical exercise and cutaneous wound healing. Free Radic Biol Med 2008; 44: 180–192. 59 Roy S, Khanna S, Rink C, Biswas S, Sen CK. Characterization of the acute temporal changes in excisional murine cutaneous wound inflammation by screening of the wound-edge transcriptome. Physiol Genomics 2008; 34: 162–184. 60 Schreml S, Szeimies RM, Prantl L, Karrer S, Landthaler M, Babilas P. Oxygen in acute and chronic wound healing. Brit J Derm 2010; 163: 257-268.